Saratoga Springs is the focal point of Saratoga County. It is the Cultural, Entertainment, and Tourism Center for the County. 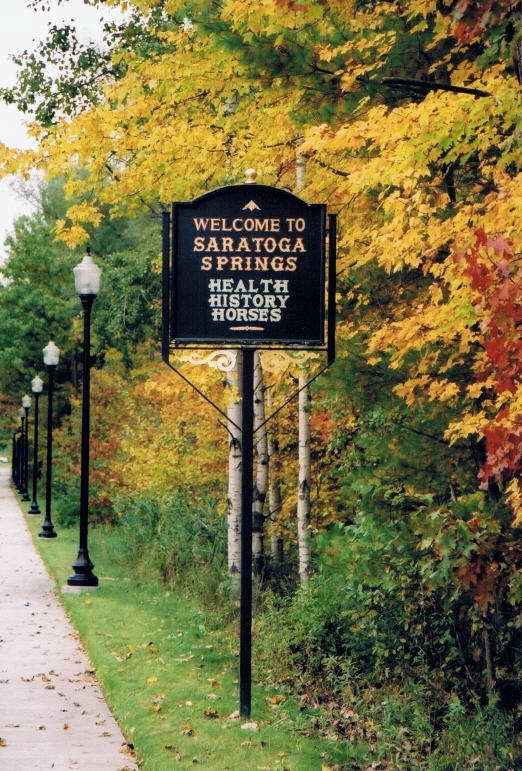 Saratoga Springs was first incorporated as a Village in 1826, and as a City in 1915. It is the fifth-largest City by land area in New York State, encompassing the entire borders of what was once the Town of Saratoga Springs. Located on an ancient geologic fault line that runs through most of the City, Saratoga Springs hosts many naturally carbonated mineral springs within its borders. In addition, Saratoga Springs is home to the world-famous Saratoga Race Course, where each summer, thoroughbred racehorses come to race in the exclusive 49-day meet. In addition, Saratoga Gaming and Raceway is the year-round home for Standardbred Racing, as well as the Casino Gambling facility on the grounds. Saratoga Springs is also the home of the Saratoga Spa State Park, and the Saratoga Performing Arts Center, summer home to the New York City Ballet and Philadelphia Orchestra. In addition, the State Park is home to the National Museum of Dance and the Saratoga Auto Museum. Saratoga Springs is also home to the National Museum of Racing and Hall of Fame. Skidmore College and Empire State College are also located in Saratoga Springs. Fine Dining, lively nightlife, excellent Hotels, and great shopping are plentiful in the Downtown Business District. With everything there is to offer, Saratoga Springs is an ideal place to live, to work, and to raise a family.